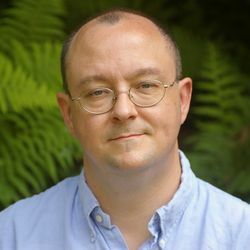 For his second novel, James L. Cambias chose one of the most challenging settings for a science fiction writer: the near future. Unlike speculative fiction that leaps centuries or millennia ahead or takes place on other planets, a book about the near future presents a world that varies only incrementally from the present. The risk, of course, is that the author’s vision will all-too-quickly be proven wrong. 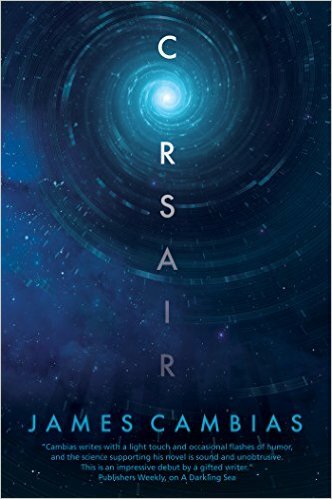 In my conversation with him on New Books in Science Fiction, Cambias explains why he was drawn to the near future and how he navigated those tricky shoals in the writing of Corsair, which follows space pirates as they hunt and plunder treasure (hydrogen mined on the moon) using remote-controlled spacecraft. Cambias is certain that space piracy will come to pass. “I absolutely expect that some point that space piracy or space hacking… will become a criminal enterprise. Space hardware is just too valuable,” he says. This is Cambias’ second appearance on New Books in Science Fiction and Fantasy. His first interview, about his book A Darkling Sea, is available here. An episode of New Books was also devoted to the Hieroglyph Project.